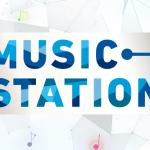 On September 19, the second Music Station Ultra Fes will air. The show will begin at 12 PM JST and end at 9:48 PM JST that night. Yesterday, a partial song list was released. Today, an updated version was released. It can be seen below, along with the show’s timetable, which was also unveiled today. In addition, we have links to a live stream of the show. There’s also the TinyChat room so that viewers can chat with each other during the show.